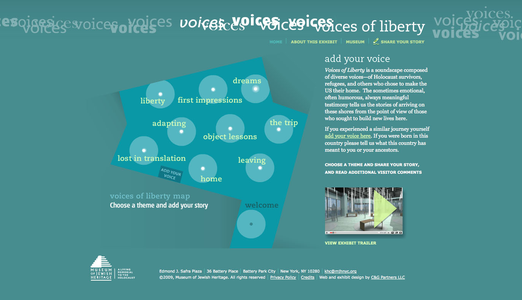 Voices of Liberty is a soundscape composed of diverse voices—of Holocaust survivors, refugees, and others who chose to make the US their home. The sometimes emotional, often humorous, always meaningful testimony tells us the stories of arriving on these shores from the point of view of those who sought to build new lives here. 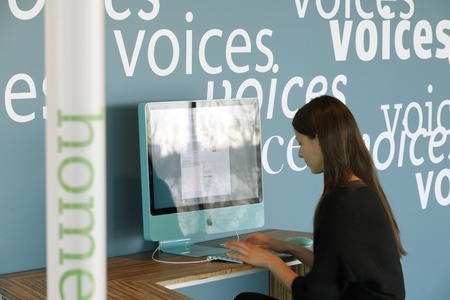 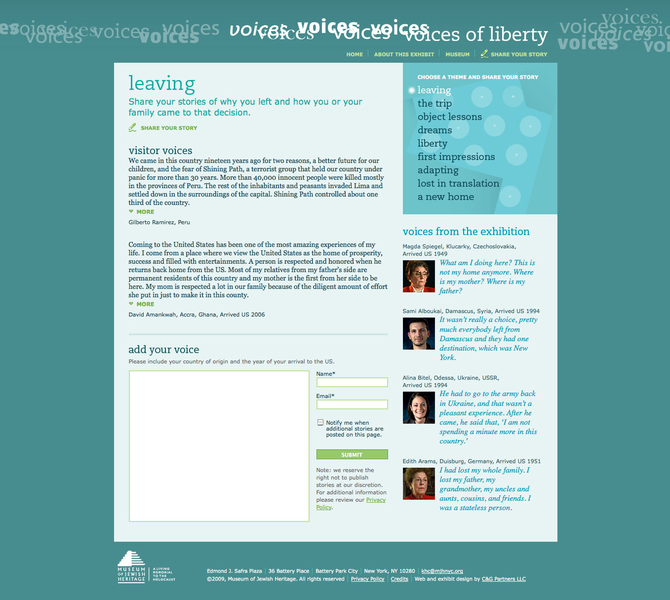 In conjunction with the Voices of Liberty Exhibition, C&G Partners designed an interactive kiosk and a website providing exhibit and online visitors the opportunity to share their experiences of coming to the US. These visitor stories are published via RSS feed to the hand-held devices that carry the audio-visual experience in the exhibit.